You are going to love this peanut butter fudge to die for. It’s easy to make this homemade peanut butter fudge with peanut butter chips. And it makes a wonderful gift for any occasion. 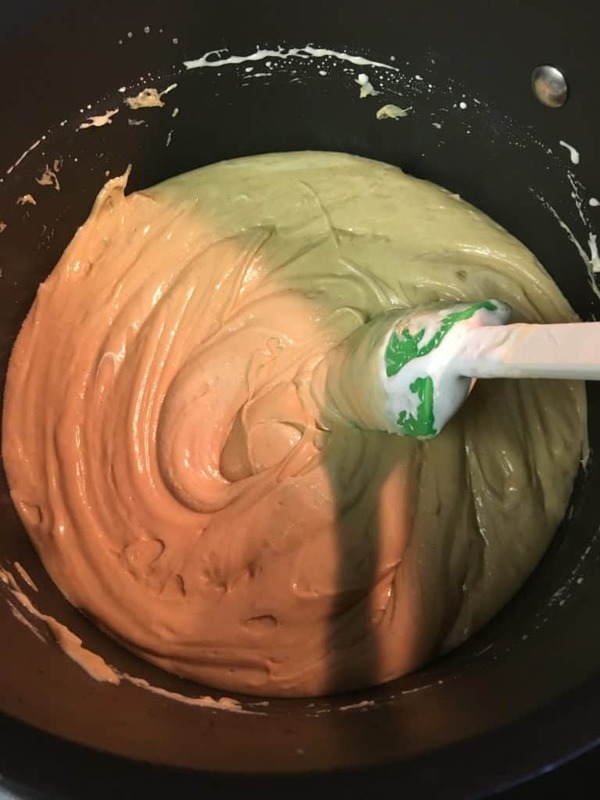 The hubs really likes peanut butter fudge and requested it, so I decided to make some this afternoon, and boy was I glad. This really is an easy peanut butter fudge recipe–I promise. (I kinda think it’s the best peanut butter fudge recipe in the world). A lot of people are intimidated by cooking it; however, it’s super simple and doesn’t take too much time. It’s not a typical recipe simply because it asks for peanut butter chips instead of a spoonful or two of peanut butter. The chips give it that extra sweet flavor, and above all, adding the chips is easier. And, let’s just be honest, I undeniably like easy. We didn’t even give it a chance to set up before we had our spoons out, digging into the warm gooey deliciousness. I have to make sure there are four clean spoons at the ready. We will chance burning our fingers to dig into hot fudge. This time was no exception. I honestly have never eaten anything that tasted this good. Let me show you how it’s done. Get out that saucepan and get to cookin’. 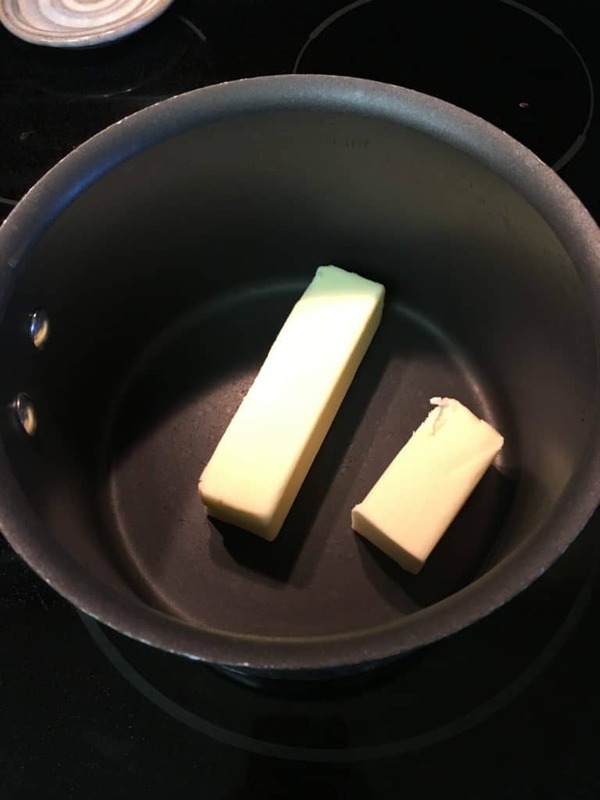 Step 1: Start with 1-1/2 sticks of butter. Melt on medium heat. White chocolate fudge your thing? Click here to get the recipe. Step 2: Add the evaporated milk and sugar. Step 3: Stir everything together and keep it on medium heat. Bring it to a full rolling boil, while stirring constantly. 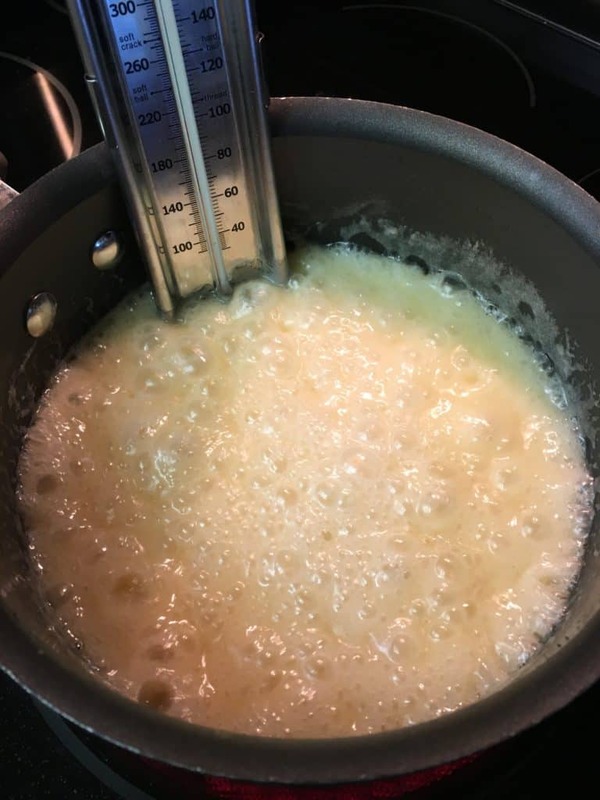 Cook until the candy thermometer reaches 234-degrees. 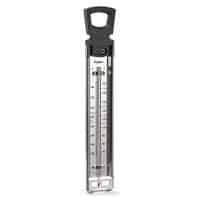 If you don’t have a candy thermometer, you can time it. Once the fudge starts to boil, start the timer and boil for 4 minutes. TIP: A full-rolling boil is when the food continues to boil, even while stirring. It constantly bubbles. Step 4: Once the thermometer reaches 234-degrees (or 4 minutes), remove from the heat and stir in the marshmallow creme. 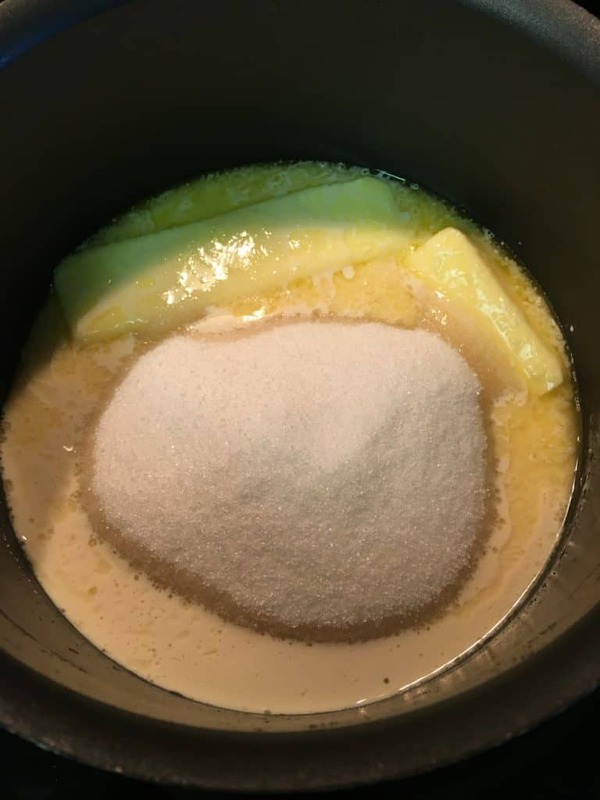 Stir until it is melted and well blended. I usually add the marshmallow before the chips, because the heat will melt the marshmallow faster. Add the vanilla, and stir. Step 5: Finally, add the peanut butter chips and stir until they are well blended. Isn’t it the most beautiful thing you have ever laid eyes on? Step 6: Pour the fudge into the pan and let it cool and set up. TIP: If you use a stoneware pan, you will need to spray it with a non-stick spray. If you use glass or a disposable metal pan, you don’t need to spray it. It’s like a party in your mouth. A really content, happy party. 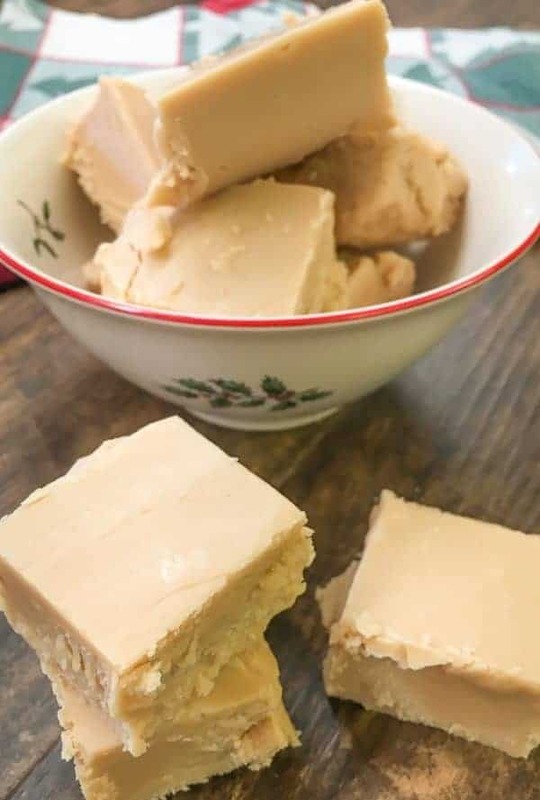 Get the recipe for peanut butter fudge below! This is the best peanut butter fudge recipe around. 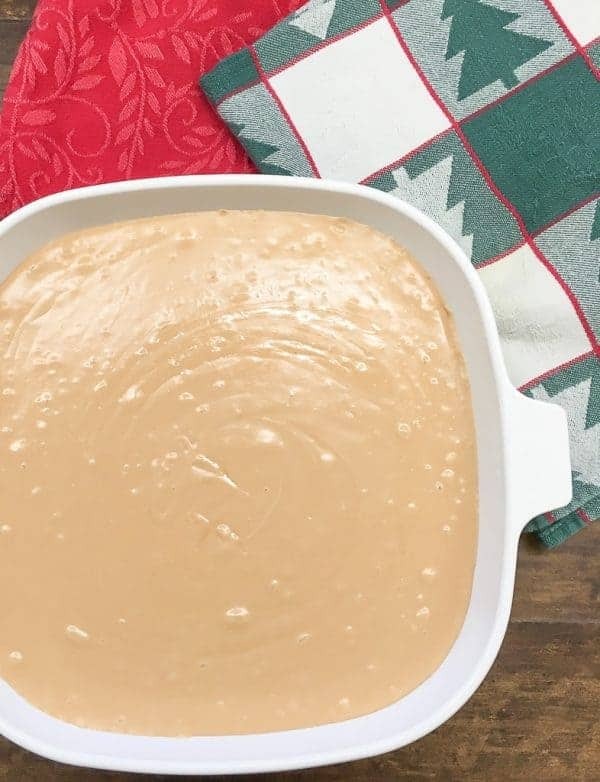 The peanut butter fudge with marshmallow cream is easy to make and is a delicious holiday treat. The creamy fudge is made with sugar, butter, evaporated milk, marshmallow creme, vanilla, and peanut butter chips. 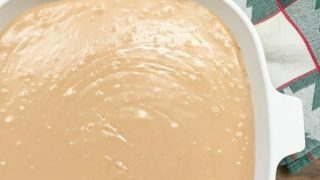 Add the evaporated milk and sugar and stir until well blended. 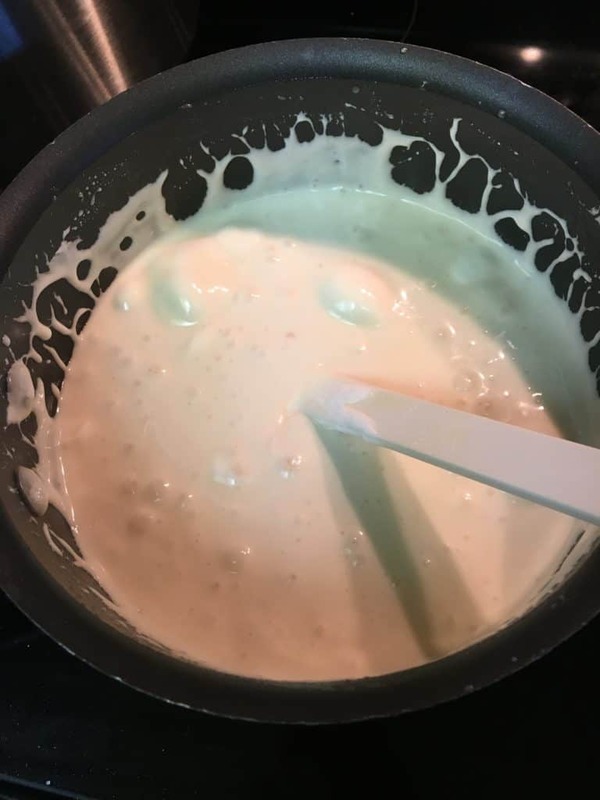 Stir in marshmallow creme. Stir until well blended. Add peanut butter chips and stir until blended. Pour into 9" x 9" pan and cool. (Let's be real - take a spoon and eat a little while it's still warm). If you use a stoneware pan, you will need to butter the pan. If you use a tinfoil or ceramic pan, you will not need to butter the pan. This looks amazing! Anything with peanut butter is my favorite. I want to start making my own peanut butter, too. It turned out so delicious. Our cat even got up on the counter, got through the tin foil, and licked quite a bit of it! Homemade peanut butter is so much better for you. If you make some, you will have to post a picture. I MADE IT FOR CHRISTMAS AND IT STAYED SOFT, SO I COULD NOT GET OUT IN SQUARES. IT TASTED VERY GOOD. BUT I HAVE THE SAME RECIPE AND IT ONLY CALLS FOR ONE BAR OF BUTTER INSTEAD OF 11/2 AND IT TURNS OUT PERFECT SQUARES. Glad it tasted good! I’ll have to try it without as much butter, as your recipe calls for, the next time. Thanks for sharing! Our little kitten got up on the counter and got into it! I know as long as I get fudge, soft or hard, I am a happy girl! Thanks for stopping by Faylenn! What size pan does this make? 9×13 or square 8 or 9″? I’ve read and reread this recipe and don’t see how much or what size of a pan to use, also should I butter the pan? I always use a 9″ x 9″ pan. You can buy the tin-foil pans at the grocery store that are approximately the same size, if it’s a gift. If you put the fudge in a stoneware pan, you will need to butter it, but if it’s a tinfoil, or a ceramic pan, you don’t need to butter it. It seems to come out ok with those. 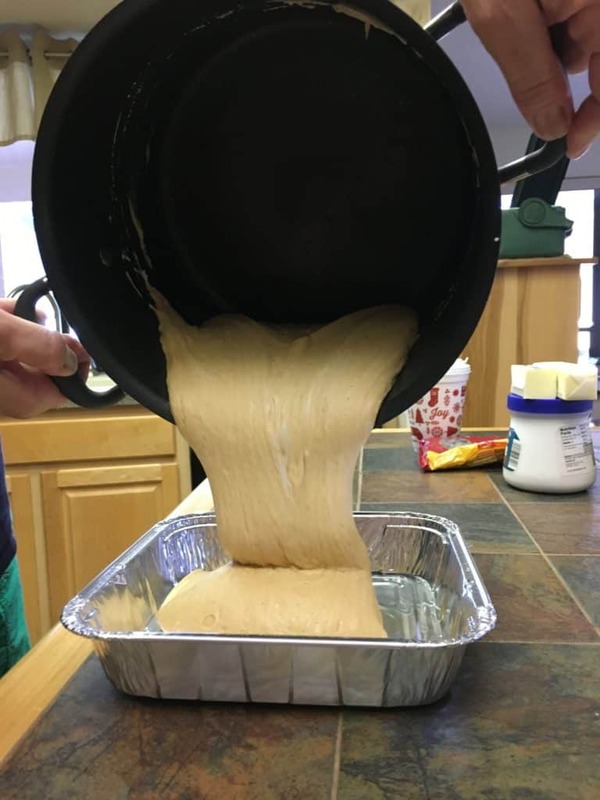 I’ll go put the pan size in the recipe. Thanks! Great!! Thanks for getting back with me, I can’t wait to try this yummy recipe! Sure! Have a good afternoon! 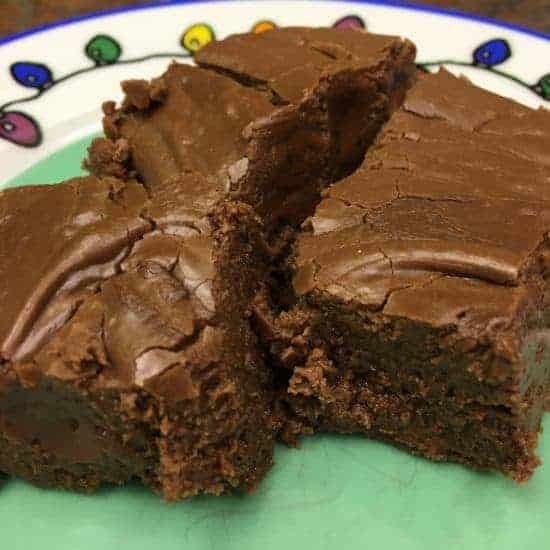 Hi Julie, I just made this fudge and it’s GREAT! I made it for my brother he loves fudge more than I do (but I love it too) taking it to him later today. Thanks for the recipes. Hi Saber! So glad to hear you love it. It’s sooo delicious and rich! That was very sweet that you made it for your brother. If I made it for my sister, she might have to pry the deliciousness out of my hands. Ha ha! Thanks for sharing! Cant wail to try this. If i used peanut butter rather than chips how much would i use? Hi Zela, I am honestly not sure. Because of the chips making it sweeter, I’m not sure if you would add more sugar. I haven’t tried it that way. I will have to try that sometime. Thanks! It’s a fun recipe! Thanks for stopping by! Peanut butter fudge has always been a favorite for me. Your recipe looks so delicious. Thanks, Julia! It’s a fun recipe! Thanks for coming by! Is this a creamy fudge or a crumbly one? 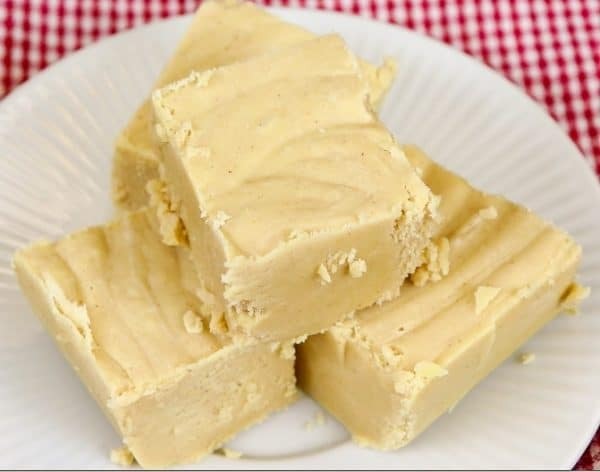 Hi Ginger, this is a creamy fudge. If you cook it a little too long, it can become crumbly. Thanks for stopping by! 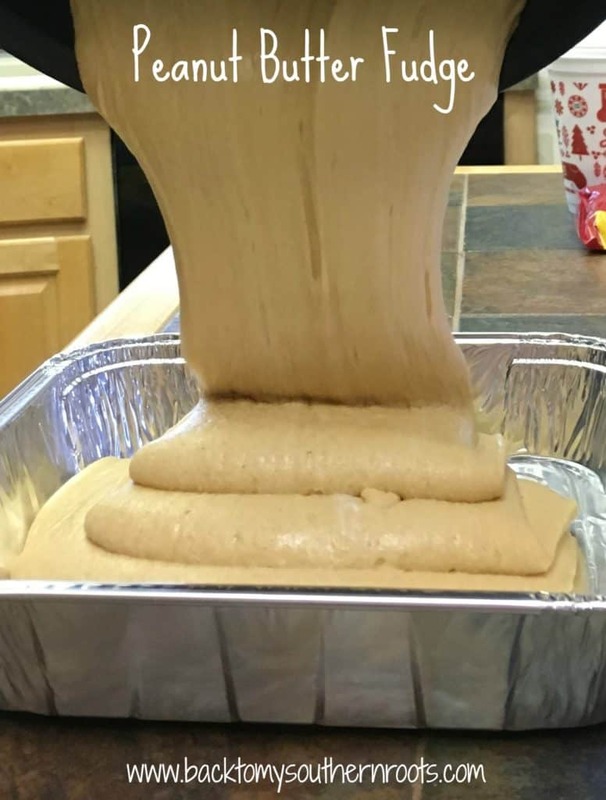 Looks like another great recipe added to my holiday candy making recipes. Hi Colleen! My mouth is watering from your description.peanut butter cups on top sounds divine! LOVE this recipe! Pinned it–thanks for linking up!